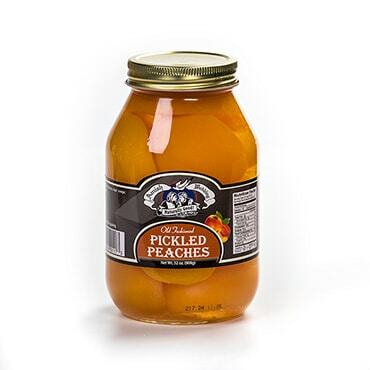 Our old-fashioned canned peaches are made with just a couple added ingredients (like water and sugar), so you get real, natural and deliciously good fruit. Peach Slices: Peaches, sugar, water. Spiced Peach Halves: Peaches, sugar, water, spices. Peach Halves: Peaches, sugar, water. 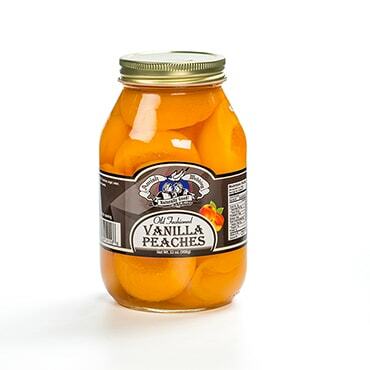 Vanilla Peaches: Peaches, sugar, water, vinegar, vanilla beans. 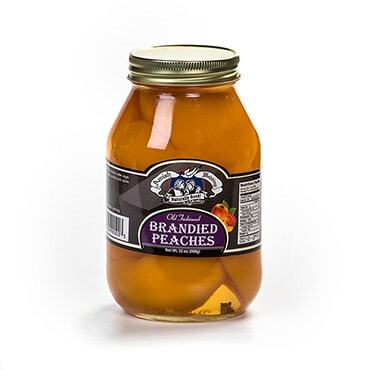 Brandied Peach Halves: Peaches, water, sugar, brandy, vinegar, ascorbic acid, spices. 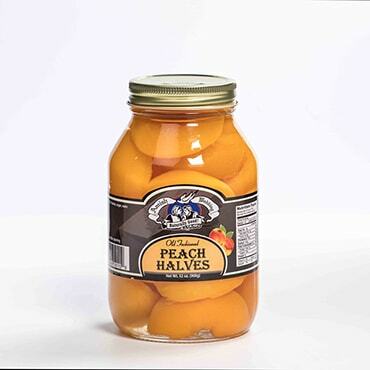 Pickled Peach Halves: Peaches, sugar, vinegar, water, spices. I recently received my order of Spiced Peaches. 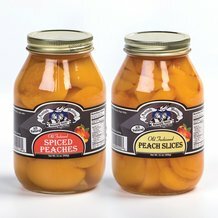 They are the freshest canned peaches I've ever purchased. If you like Spiced Peaches you have found the perfect place to purchase them. Five star without a doubt. The peaches were very expensive so I expected a superior product. There was a hint of spice in the plain peach halves I purchased. I asked Lehmans if the spiced peaches and the plain peaches were prepared in the same vat. The response was they did not know because they do not make the peaches. No contact info was provided. If you have spice sensitivities this product may be risky.